If you’re looking for a quick and inexpensive Valentine’s Day project, Jessica Jones at How About Orange has a perfect project. 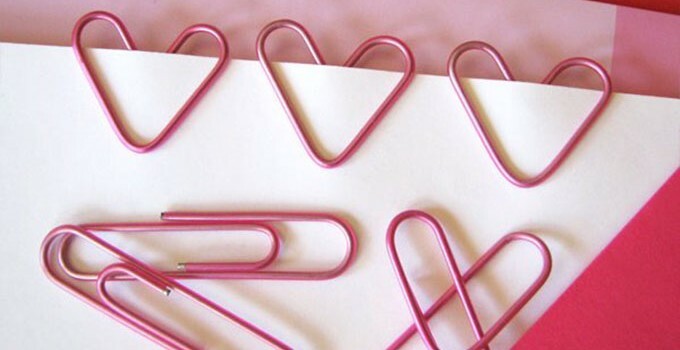 I can’t think of a quicker craft than these Heart-Shaped Paper Clips. 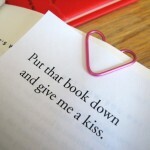 So easy that you can make them for everyone in your office or child’s classroom. I made two using the only colored jumbo paper clips I had and immediately started a search for more. I need more! I think Jessica might be my new favorite blogger. Her DIY Tutorials are filled with awesome paper, jewelry, and sewing projects. Wait until you see her LEGO ornaments!